Maxi dresses have always been one of my spring/summer staples as they're effortless to style and never go out of fashion. They're also incredibly comfortable to wear as most maxis fit loosely around the midsection generously allowing for all kinds of waistline fluctuations. With graphic prints in heavy rotation in my spring wardrobe, I'm drawn to my Karen Kane Moroccan print dress as it's the perfect blend of comfort meets trendy. It's a statement making dress that's also versatile to wear. 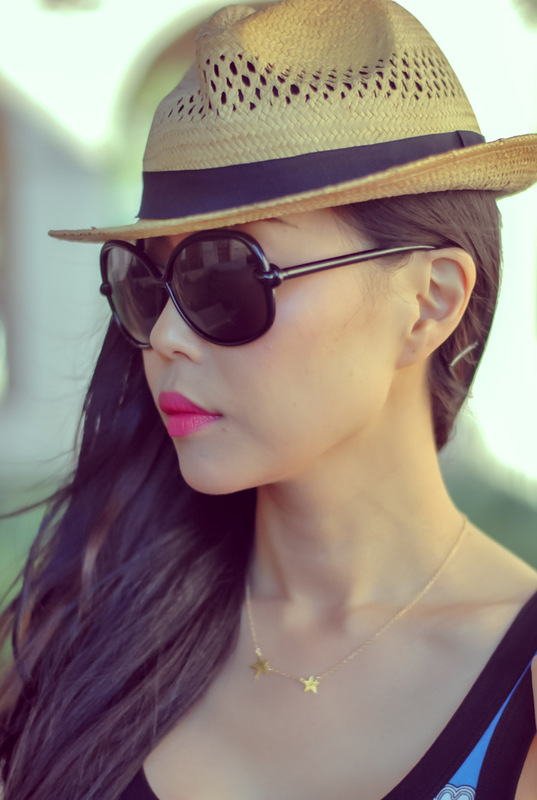 I wore my maxi dress on the first day of Coachella and accessorized it with festival friendly pieces like my straw fedora, oversized sunnies, and layers of jewelry. My studded buckle boots completes the casual and outdoor appropriate festival look. However, I can switch gears and wear the dress to a law firm picnic or the American Bar Association bowling night by ditching the hat, pulling the hair back into a top bun, adding a shrunken blazer, and switching out the boots for wedge heels. Now that's getting the max out of my maxi dress! Cute dress! I have an obsession with maxi dresses. This is perfect!!! Love your dress! Especially the pattern <3 Looks good with that hat n boots! Wow I love the outfit!! Great photos, love the dress! it looks really really good. good kombi with the shoes! 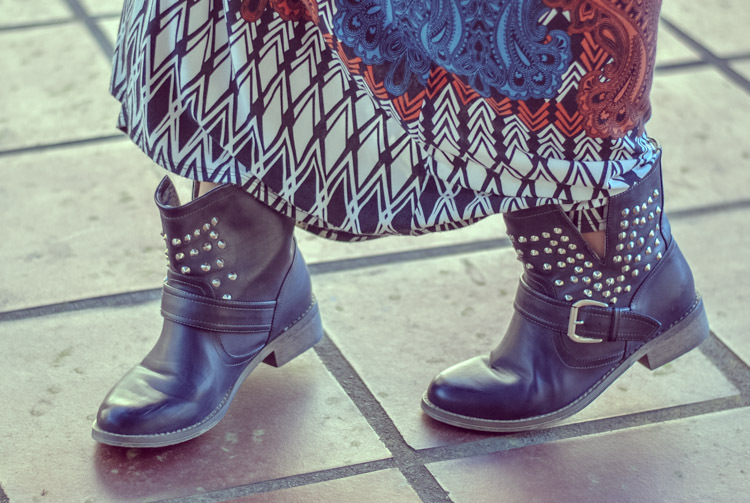 Love seeing maxi dresses with boots, and this one has a fantastic print!! bsolutelly stunning! Gorgeous outfit! Great pictures as well! i absolutely love this dress and I´m your follower since i discovered you! What an amazing outfit! I loved the maxi dress! I'm followin' your blog here!! Thanx for commenting on mine! 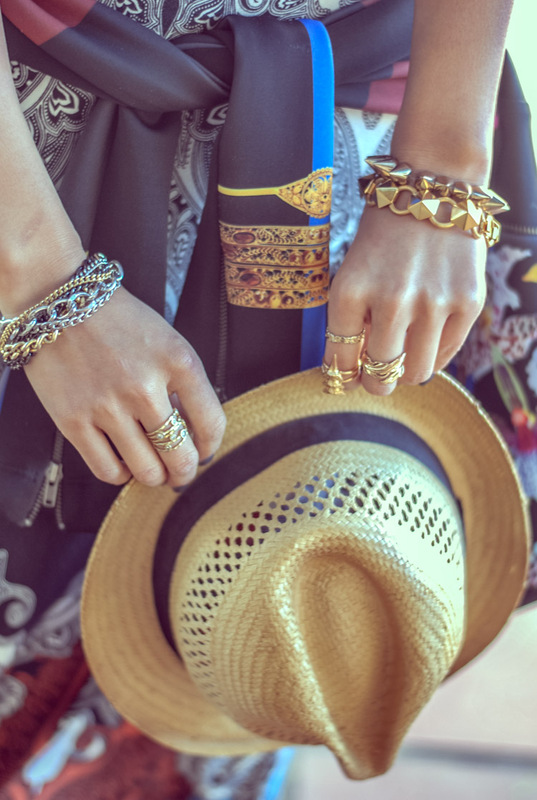 amazed by this patterns mix and your gold accesories! simple te besssssst!!!! you look absolutaly fabulous!!!!! :) love it! I love this maxi. It's the perfect length on you and the print is insane. I really love your bone rings and star necklace as well. Dainty and bold. Come visit me sometime! I'm hosting a GIVEAWAY now if you want to enter!! You look great! I love how you put everything together, and I especially love your hat! looove that printed dress! and so cool that you paired it with those boots! Sooo gorgeous! I love that dress! Such a lovely piece, definitely when worn with this printed jacket! A very cool combination. Hi! thanks for reading my blog! loving this maxi dress! :) Love your style so I'm now following you! You could follow me too. Laisse moi te plaquer contre le sol et me frotter contre ta robe longue !! Coach Outlet Coach Factory Outlet Coach outlet Coach Factory Outlet you. what they would plane unreal would be suave, character and wasted. Custom T-Shirts Custom iPhone 6 Cases Personalized T-shirts Custom Shirts Custom iPhone 6 Cases Custom Iphone 6 Cases your mark, your raise piping. debt. obviate being unclear in your public transport foodstuff fund.